We are super proud of every reusable nappy award that we have in our awards cabinet. 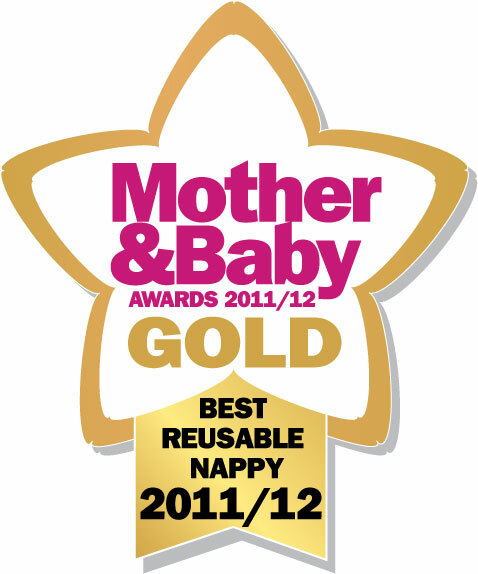 We have won the Best Reusable Nappy award 10 times, that's more times than any other reusable nappy brand put together! 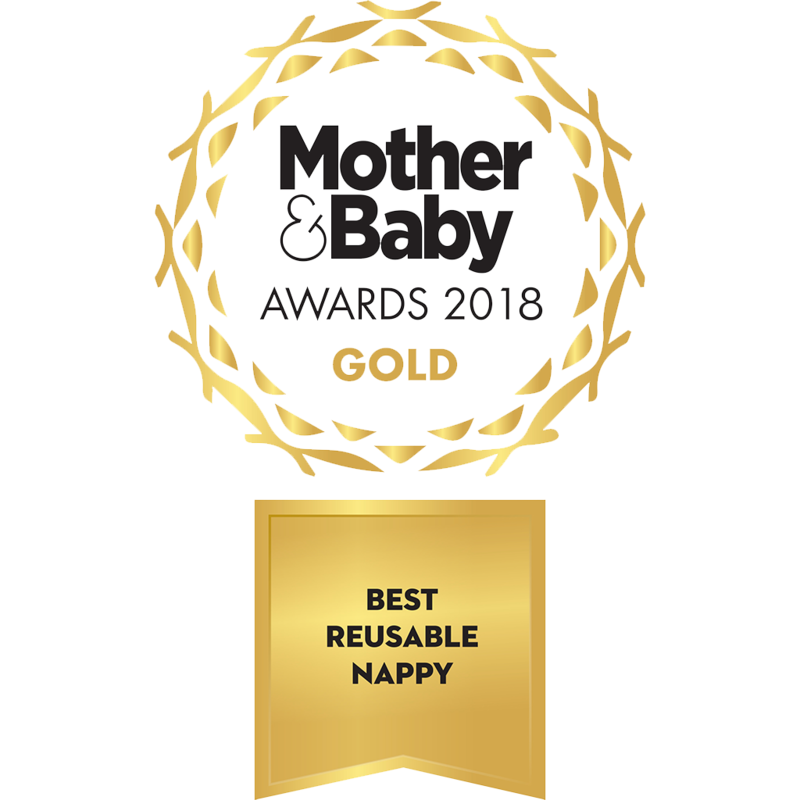 We’re over the moon that the Bamboozle night-time nappy won Best Reusable Nappy in the 2019 Mother & Baby awards! It’s the tenth time one of our nappies has won in this category, which is more than all the other reusable nappy brands put together. This year the Bamboozle stretch has scooped up this award for the 7th time. Every year our reusable nappies are put through their paces by the independent Parent Panel at the Mother & Baby Awards, and every year, around October time, we start to get super nervous about which brand will scoop the title of Best Reusable Nappy. You see winning a Mother & Baby award is a bit of a big deal in the nursery industry as it is such a fantastic product endorsement. 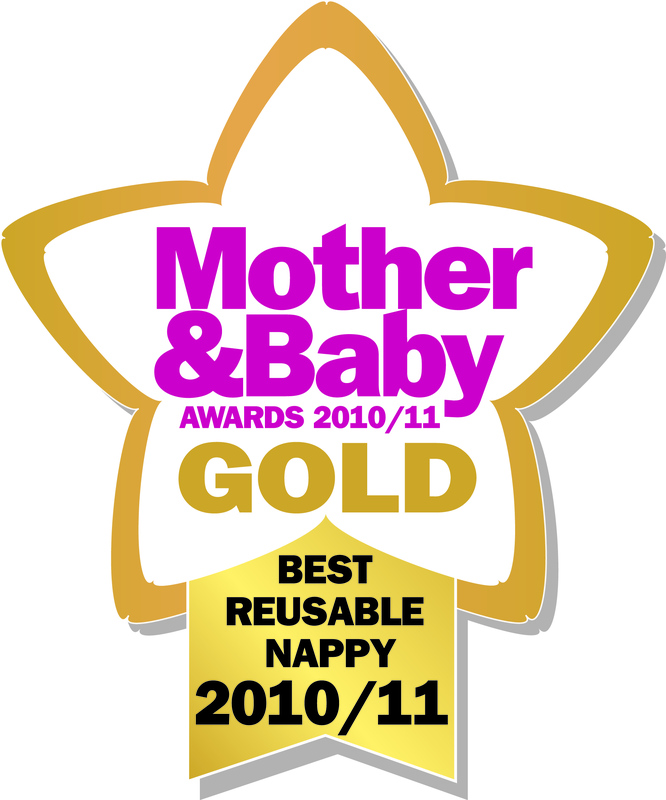 Since the award category was created in 2006, we have won it 9 times and no other other reusable nappy brand even comes close. Just like the performance of our nappies, this record is pretty much unbeatable. Another reusable nappy brand would have to win it every year from now until 2027 to beat us. This is testament to the quality, design and performance of our products. Having TotsBots recognised as Best Reusable Nappy still gives us a buzz of excitement, even after all these years, and it continues to make us proud that we are offering parents truly winning alternative to single use nappies without compromising on convenience or performance. This year our Easyfit Star won the award for the second time in a row since its launch in 2016. Previous to this there has been a bit of a jostle for the top spot between the Easyfit and our Bamboozle Stretch reusable nappy – the favourite with parents for night-time nappy use! Take a look at the Easyfit Star HERE. The annual Mother&Baby Awards celebrates the very best products and brands around. 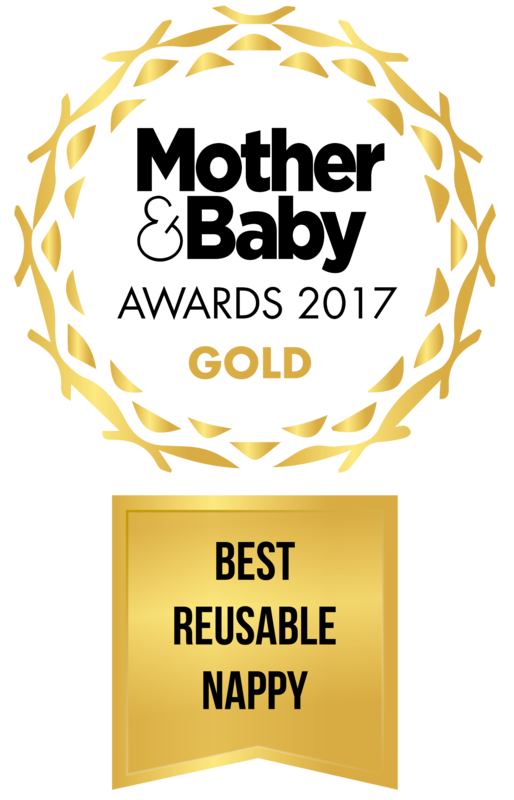 Products are tested by a group of mums who help decide just who deserves to get the awarded gold, silver and bronze awards, We have won more Mother & Baby Gold Awards than any other reusable nappy brand out there. The 2017 award was awarded to our Easyfit Star Nappy. Quality and performance definitely shine! The annual Mother & Baby Awards celebrates the very best products and brands around. 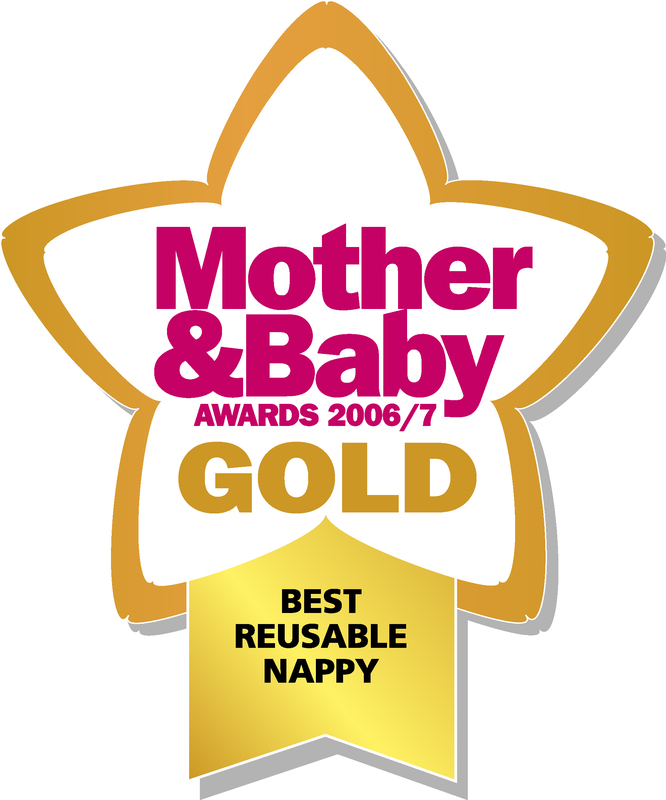 Products are tested by a group of mums who help decide just who deserves to get the awarded gold, silver and bronze awards, We have won more Mother & Baby Gold Awards than any other reusable nappy brand out there. The 2016 award was awarded to our Easyfit Star Nappy. Quality and performance definitely shine! The annual Mother & Baby Awards celebrates the very best products and brands around. 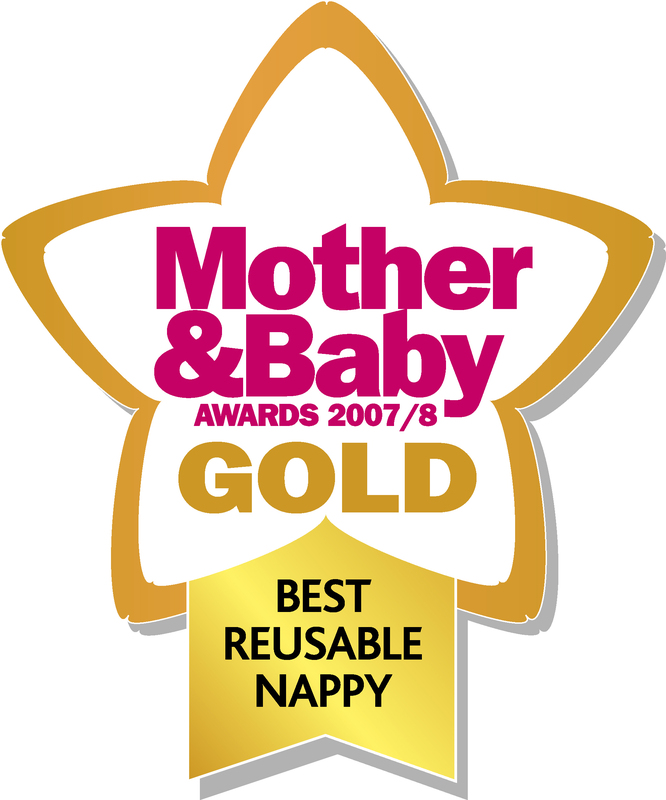 Products are tested by a group of mums who help decide just who deserves to get the awarded gold, silver and bronze awards, We have won more Mother & Baby Gold Awards than any other reusable nappy brand out there. The 2015 award was awarded to our Bambooze Stretch Nappy. Quality and performance definitely shine! The annual Mother & Baby Awards celebrates the very best products and brands around. Products are tested by a group of mums who help decide just who deserves to get the awarded gold, silver and bronze awards, We have won more Mother & Baby Gold Awards than any other reusable nappy brand out there. Quality and performance definitely shine! Each product in the LBP Awards is tested by parents, and voted for by parents, so you can guarantee that you're reading a trusted review. 71% of parents surveyed by LBP said they were more likely to buy something if it had won a LBP Awards. Our reusable nappies have won an array of LBP awards which we are very proud of. Each product in the LBP Awards is tested by parents, and voted for by parents, so you can guarantee that you're reading a trusted review. 71% of parents surveyed by LBP said they were more likely to buy something if it had won a LBP Awards. Each product in the LBP Awards is tested by parents, and voted for by parents, so you can guarantee that you're reading a trusted review. 71% of parents surveyed by LBP said they were more likely to buy something if it had won a LBP Awards. Our reusable nappies have won an array of LBP awards so you can be sure that they are a trusted brand who outperform other brands. Not only do we make award winning reusable nappies, we make award winning sanitary pads too! If you're new to the world of reusable sanitary pads, check out our range of award winning pads at www.bloomandnora.com!